The prescription must state that it is for CPAP therapy and at what pressure your machine should be set. If you are purchasing a standard CPAP machine (one that operates at a constant pressure), then the prescription must show one pressure setting, which is generally a number between 4 and 20 and measured in cm of H2O. If you are purchasing an Auto CPAP machine, then your prescription must state two different pressures: A low (minimum) pressure setting and a high (maximum) pressure setting. If you are purchasing a BiLevel machine, then your prescription must state two pressure settings: An inspiratory (IPAP) setting and an expiratory (EPAP) setting. If you are purchasing an Oxygen Concentrator, the prescription should have the flow rate stated in Liters per minute. Prescriptions can be faxed to us at 888-469-2555, or we can accept a scanned copy of your prescription by emailing it to us at [email protected]. Please note that orders for machines, concentrators, or complete masks will NOT be shipped until we receive a copy of your prescription! How will you send your Prescription? 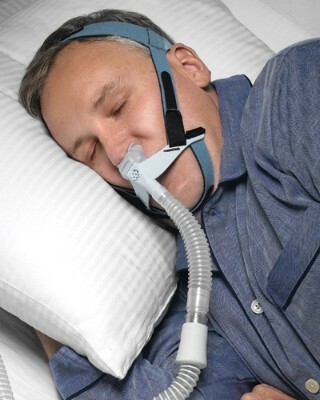 The OptiLife nasal pillows system is an exciting new interface from Respironics that may be an excellent solution to CPAP users who need a nasal pillows system that does not interfere with their line of site. This interface can be worn with eyeglasses, which allows the opportunity to read or watch TV before falling asleep. This mask was designed for easy fitting, easy assembly, and easy cleaning, and it also incorporates some innovative design features for superior comfort. The OptiLife uses a soft, pillows cushion that gently seals inside the nostrils. Unlike most pillows or prongs-style products that rely onlyon the nose to support the seal, the OptiLife employs a chin support band that provides a soft foundation for the seal and further eliminates unnecessary nasal irritation, pressure or pulling. The cushion seal is supported by the chin support band, and, to a lesser extent, the nose. By using the chin to support the mask seal, the OptiLife reduces the pressure on the upper lip and nasal area, providing a comfortable yet stable cushion support. Respironics' recommends the use of their lightweight Performance Breathing Tube to make this product more comfortable and effective. The Performance Breathing Tube further enhances the effectiveness of the OptiLife by decreasing the pulling forces caused by the weight and limited flexibility of standard breathing tubes. Unique headgear design and chin support band offers superior stability while being easy to put on and adjust - can be put into place with one hand! Wearing The pillow cushion is very painful on the nostrils after 3-4 hours. The Cradle Cushion is easy to have air leak especially for side sleeping. Not working well for me. Breaks seal when my lower jaw relaxes during sleep. I'd like to see someone put this on with one hand. I used a nasal mask for many years. I decided to try the nasal pillow system. This item came with a two sizes and two types of nasal pillows. This is the most comfortable system I can imagine. it did take a night or so to get used to after so many years with a mask. Unlike the masks the pillows do not need to be tight and compared to the mask is very light. I can recommend this very highly. 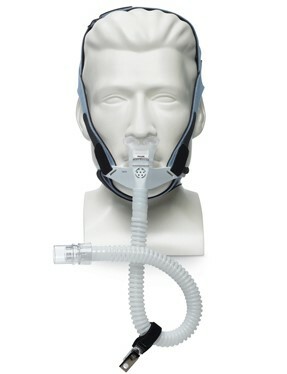 I'm a first time CPAP user so I don't have much to compare this product with. The nasal pillows work best and provide a pretty good seal. My size really is between a large and a medium, neither one is optimal. And they do move and come off the nose if you move too much during the night. This is GREAT! It's much less bulky than a mask and makes sleeping on your side much easier. Very comfortable. Best one I've had. Exactly what I ordered. Very pleased. Really good.I have been using CPAPS' for 11 years and you are the best. Everything about your processing has been very easy to understand and from the time I ordered to the time I received my order was quick. I am testing the odd looking nasal pillows I got tonight. Instead of two parts going into each nostril, my extra pillows have one part for both nostrils. Maybe I'll get to test exchanges or not? 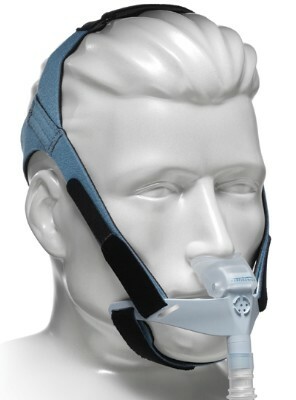 Nasal cradle idea is fantastic but the Optilife headgear is problematic. I sleep on my side and turn over often while asleep. Having the hose exit the bottom of the mask is totally unacceptable. If the hose could exit the top of the nasal cradle I would rate it 5 stars. The headgear works fine and I don't feel pressure on my face. I'm still having trouble adjusting to nasal pillows. I haven't used any other brand of nasal pillows so I don't know if the problem is the product or not. This is my second style of mask, I thought I would like something that has a chin strap built in! It seems to work very well for me and is comfortable. My biggest complaint is the lack of a swivel on the hose where it meets the mask. If you snag the hose it pulls the nasal pillows out. I sleep on my side and the pillow clip is useless! Good design, good quality, best price! Hard to beat all that. This looks good in the catalog, but the chin strap cannot stay in place and can't begin to help keep you mouth closed. The problem is that the plastic part that both the head strap and chinstrap connect to is so thin and flexable that it bends with even the slightest bit of pressure and can't support your chun at all. Don't waste your money. I wish I had not wasted mine. Buy local! ** BestCPAPPrice Note - the chin support on the Optilife is there to help stabilize the pillows and is not intended to hold your mouth closed. For this you need to buy a dedicated chin strap. We do have a mask replacement policy that allows you to send a mask in within 30 days for a 75% refund if the mask does not work for you. I have only had the Optilife for a short time, but I find it meets my needs. My other nasal mask was starting to cause a redness each side of my face. With alternating the two I hope to alleviate the issue. So far so good! The turbeconnecting to the face mask continues to split and leak. They do not sell it seperately. I am switching to ResMed Swift LT mask. tired of replacing entire head gear every 6 months. I love the OptiLife and bestCPAPprice! You guys are so awesome! Very prompt at packaging and getting orders out the door! The Opti is so comfortable because it can be fitted so many ways! Q: It appears that I would not use the nasal pillows if I use the cradle #1036847 is that correct? A: You can use either the nasal pillow or the cradle cushion if you order one of the configurations that include both options. This mask is being discontinued at the end of 2018 so it's probably not a good choice if you don't already use it. The new DreamWear mask is probably a better option #1116700 or 1124894. We are only authorized to sell and ship Respironics products to end-users residing in the United States. 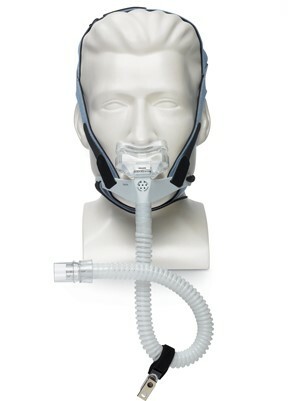 Respironics recommends that new patients purchase their devices, masks and initial accessories from a homecare company that can provide an individualized patient equipment set-up, clinical and after-sales support, and a program to assist patients with therapy success. ** BestCPAPprice provides the following patient support: telephone and email support with respect to therapy questions and problems, device re-titration and calibration, replacement accessories and supplies available for purchase, after-sales service and support.